This large-sized board book is the perfect introduction to animals for babies and toddlers. Many creatures great and small are featured in this book, with a blend of photgraphic and animated images to accompany each one. The animals are grouped into sections, for example, In The Sea, Black And White, Scales And Shells, and more. The point-and-say feature will allow your child to build their vocabulary as they learn about the animals. 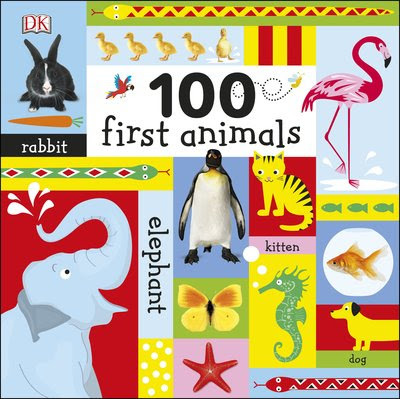 100 First Animals has an RRP of $16.99 and is available through DK Books.